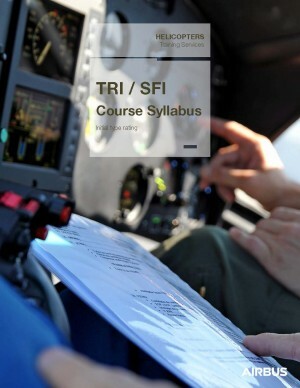 The Initial Type Rating Instructor (TRI) course provides the necessary skills to deliver a type rating training on the corresponding type of aircraft. The privileges of the holder of a TRI (H) are to instruct license holders with the objective of revalidation or type rating renewal. When applicable, this course includes extension of the IR (H) privileges, and as TRI (MPH) the required instruction for Multi Crew Coordination as applicable. It is recommended to have a strong experience on the variant as Pilot in Command. After successful course completion, the trainee will be awarded an certificate of approved training for Type Rating Instructor. 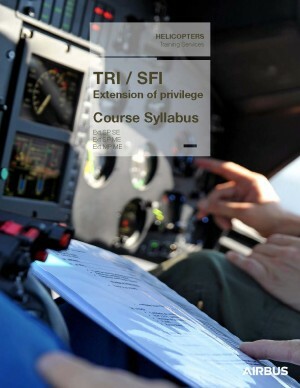 The Extension of Privileges course extends privileges of a pilot instructor to a new aircraft type. Have at least 15 flight hours experience on the relevant helicopter with no more than 7 Hours completed on a flight simulator. Simulation of typical trainee mistakes and corresponding adjustments to be applied. After successful course completion, the trainee will be awarded a flight report of the new version. The Examiner Seminar Courses (TRE, SE, FSE) allow the revalidation and/or the renewal of the examiner qualification according to PART FCL 1025. After successful course completion, the trainee will be awarded a PART FCL certificate of approved training for the type rating. The Type Rating Renewal Course updates knowledge and proficiency to renew the type rating on the aircraft type. The revalidation or Renewal Test extends the type rating according to PART FCL regulations. Type rating skills test in accordance with PART FCL regulation. The applicant should demonstrate the required skills for the safe operation of the corresponding type of helicopter. After successful course completion, the trainee will be awarded a PART FCL flight test form.